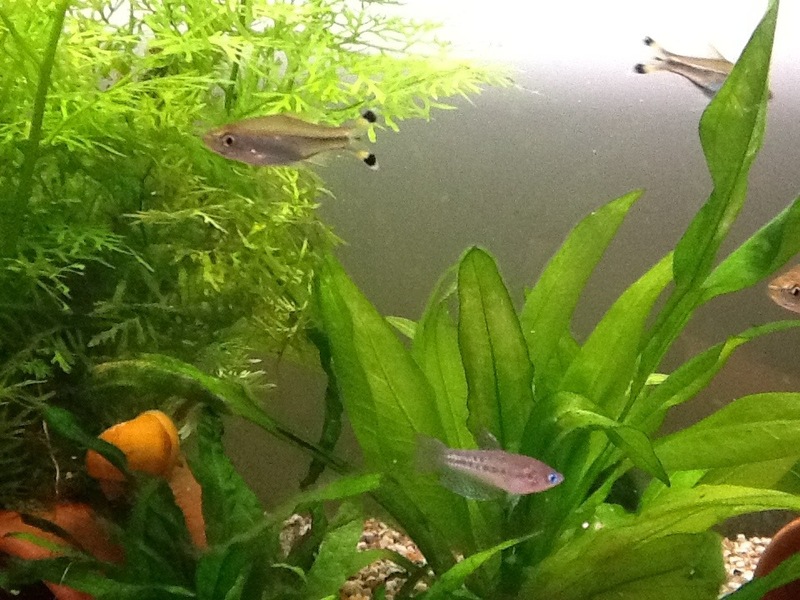 I’ve managed one photo of one of the five new Pygmy Sparkling Gouramis. They are tiny. They hide in the biggest, bushiest plant. They are sparkly and their blue eyes catch the light. That’s fish facts! 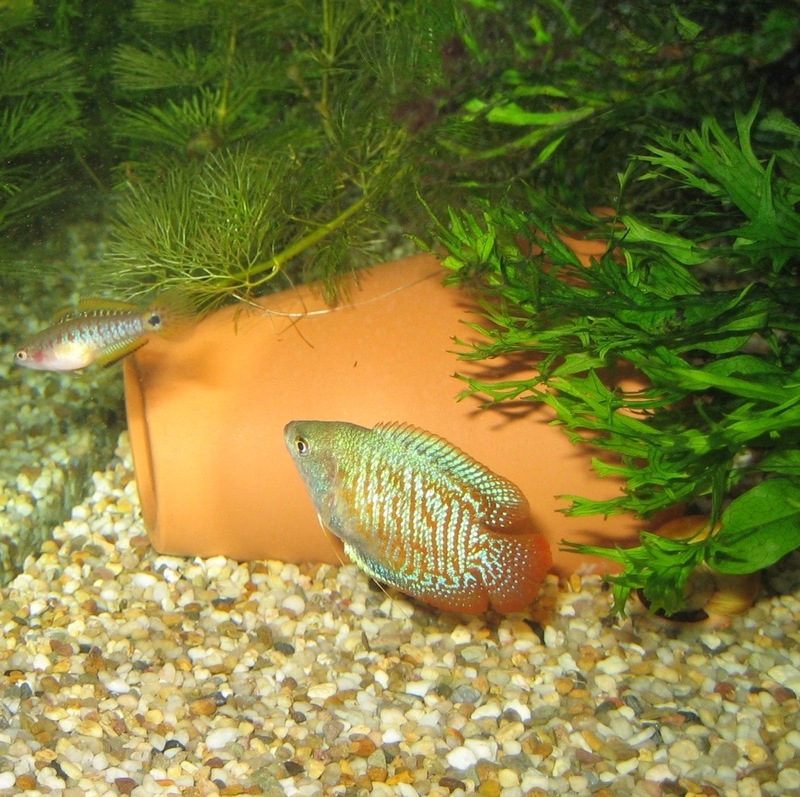 Who’s a Pretty Peacock Gudgeon? 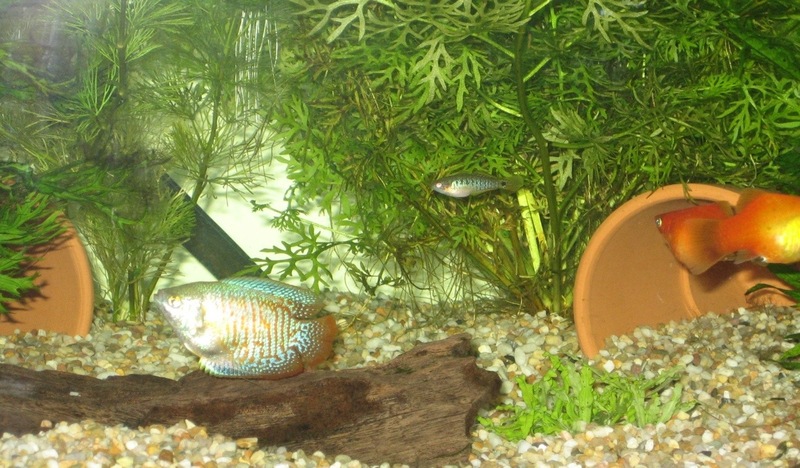 The beautiful male Dwarf Gourami is a friendly chap, even when his buddies are as tiny as the Peacock Gudgeon. The colours are fantastic.